Dr. Valery Filippov has received the Ph.D. degree in Radiophysics from Peter the Great St. Petersburg State Polytechnic University (St. Petersburg, Russia) in 1988. He has worked at Peter the Great St. Petersburg State Polytechnic University (1983-1998, St. Petersburg, Russia), Centro de Investigaciones en Optica (1998-2002, Leon, Mexico), University of Southampton (2002-2005, UK), Liekki Corp. (2005-2007 Lohja, Finland) and Optoelectronics Research Centre (Tampere University of Technology, 2007-2016). 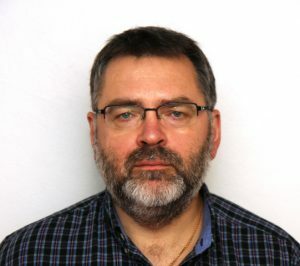 Dr. Filippov is founder and Research Director of Ampliconyx Ltd. (Tampere, Finland). Dr.Filippov is OSA member, he has published more than 140 peer-reviewed journal articles; author of six patents. The main field of scientific interests includes optical fibers, fiber sensors and fiber lasers and amplifiers.